Are you spending more time with paperwork than patients? Kareo can change that. The medical business is more complex than ever, and running an independent practice can be hard. 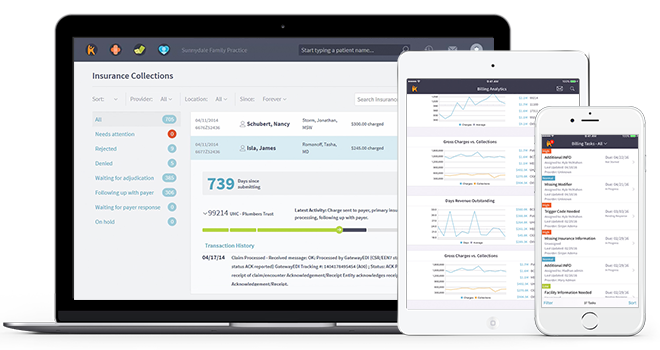 With Kareo, you get simple solutions for every part of your practice—from scheduling and charting to billing and collections. We’ll take care of your business, so you can take care of your patients. Kareo Clinical, our EHR, was designed by a practicing doctor to work the way you do. Intuitive notes and direct connection to pharmacies, labs and more make your work quick and easy. Plus, Kareo’s mobile-first design lets you run your whole practice from your fingertips, wherever you go. Kareo Billing is Kareo’s simple cloud-based billing module. It gives you insights and tools to run your whole practice better. Get paid faster and always have a handle on the financial health of your business. Increase your visibility, manage your reputation and get more referrals with Kareo Engage. Grow your patient base and your practice, the smart way. Paperwork piles up, and outdated technology is no help. Kareo Clinical, our EHR, is intuitive and easy to use. Get the smartest clinical tools plus cloud-based patient records and mobile-first design. Everything you need, at your fingertips. Our full-featured EHR works the way you work. With clinical tools that make it easy for you to do your work without losing time with your patients, and total integration with our cloud-based platform. Transition easily, get started quickly, and practice the way you want to. The mobile-first design in Kareo Clinical allows you to work the way you want. Do all your charting, take notes, send prescriptions and more, right from your mobile device. Get out from behind your computer screen, and back in front of your patients. Running a small practice is a lot of work. Kareo simplifies and streamlines how you manage your practice and offers expert billing software. So you can enjoy the bottom line benefits and avoid the everyday headaches. Kareo understands the realities of your independent medical practice. And we’re committed to making it easier to run with our simple, streamlined management solutions. Handle everything from scheduling to reporting in a secure, cloud-based system you can access from anywhere. 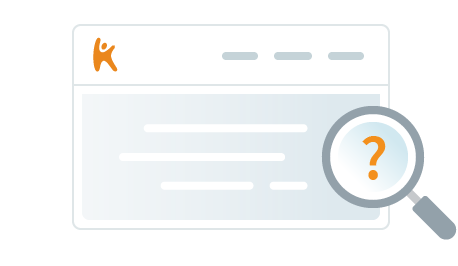 Kareo takes complicated billing issues off your plate and streamlines collections. From speeding up claims processing to staying on top of regulations, our team of billing experts will simplify the way you work and improve your returns. Maintaining good patient flow is essential. Kareo makes it easy for patients to find you - and choose you - with the fastest growing network of independent providers and patients on a single, cloud-based platform. Engage and grow. Your practice needs patients. Kareo makes it easy for new patients to find you, and for existing patients to refer you. With our simple, cloud-based platform marketing your practice is easier, and growth happens with minimal effort on your end (outside of the great care you deliver). Kareo understands the importance of online reviews for independent medical practices. Our cloud-based platform helps you engage with patients to keep them happy, so they keep coming back. And you keep growing! Not sure which modules in the Kareo platform are right for your independent medical practice? We’re here to help. Review these resources for more information, or call, email, or chat with a Solution Consultant today to learn more.